All members of the SOU community are invited to join Campus Recreation on April 23 to celebrate the first birthday of the university’s Student Recreation Center with complimentary refreshments and free access for faculty and staff. Construction of the SRC and adjacent Lithia Motors Pavilion was completed last spring, and the recreation center opened its doors to campus on April 23, 2018. A grand opening celebration and ribbon-cutting were held in September. This year’s birthday party will recognize the facility’s first full year of providing new recreation and wellness opportunities for the SOU community. Snacks and cake will be served at 4 p.m., and participants are encouraged to head down to the recreation field at 5 p.m. to cheer on teams in SOU’s Ultimate Frisbee Intramural Tournament. The SRC will offer free access all day on the 23rd to SOU faculty and staff members, and students can sponsor one free guest. The combined Student Recreation Center and Lithia Motors Pavilion complex replaced 60-year-old McNeal Pavilion. The 48,000-square-foot recreation center was funded with $17.7 million in fees that SOU students voted in 2012 to levy upon themselves. Lithia Motors Pavilion was funded separately with $22 million in state construction bonds and about $2 million from donors. The SRC is home to SOU’s Campus Recreation program and all of its companion areas, including the Outdoor Program, intramural sports, sports clubs and other fitness and wellness programs. The Student Recreation Center features a 44-foot-high climbing wall, suspended indoor track, “cardio-selectorized” free weight equipment and two gymnasium courts lined for basketball, volleyball and pickleball. It also has exercise machines, a spin room, two fitness studios and locker rooms. Campus Recreation has expanded its selection of fitness classes during the first year in its new facility. It has also added new equipment and approved new membership and access options, including minor access, an Alumni Association membership and an Express Membership for faculty and staff. Three SOU alumni from Guanajuato will present free, public lectures on Thursday, April 11, as part of the 50th anniversary celebration of the sister-university relationship between SOU and the Universidad de Guanajuato. Members of the SOU community are encouraged to attend the lectures and to welcome the visiting delegation from Guanajuato. “If you see any visitors from Guanajuato on our campus next week, be sure to tell them bienvenidos – welcome to SOU,” said Provost Susan Walsh, who is organizing the 50th anniversary celebration. The lecture series is part of a multi-day celebration of the relationships between SOU and University of Guanajuato, and the cities of Ashland and Guanajuato, that began in 1969. The partnerships will be formally renewed during a breakfast observance on Monday, and an invitation-only reception and concert for the Guanajuato delegation will be held at SOU’s Music Recital Hall on Tuesday evening. More than 1,000 students, faculty members and others have participated in exchanges since the Sister City agreement between Ashland and Guanajuato began in 1969. Failure of a valve on the main natural gas line that serves SOU and a large portion of Ashland is affecting students and employees at the university in various ways, but is expected to be resolved this evening or on Wednesday. One of SOU’s natural gas-fueled boilers was temporarily converted this morning to burn diesel fuel. That boiler will provide heat and hot water to most buildings in the core of campus. 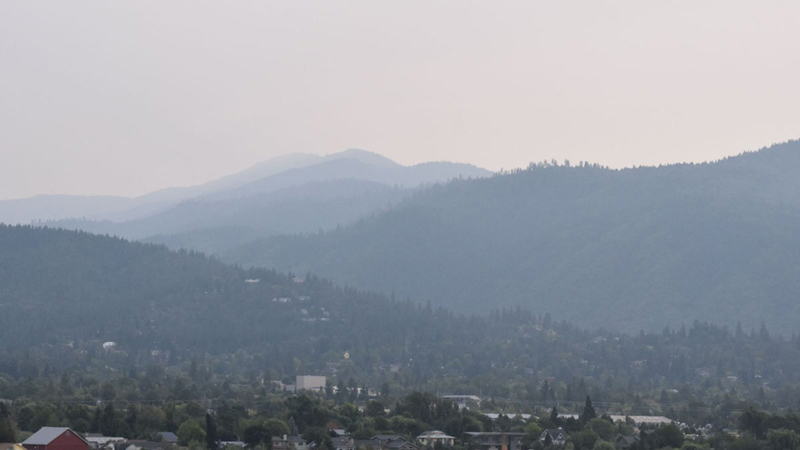 However, the Shasta, McLoughlin and Madrone residence halls will be without hot water until the natural gas service is restored, and The Hawk dining facility will be without its gas grills, steam kettles and dishwashers. Other campus facilities – including OLLI; the Facilities, Maintenance and Planning offices; the Digital Media Center; and the Bookstore – are on independent gas meters and are also without heat. Staff at The Hawk are using induction stovetops to boil water for sanitization and limited cooking. The kitchen is offering salads, sandwiches, fresh fruit, pasta bar, already-prepared baked goods and some items that are being grilled on outdoor barbecues. Elmo’s in the Stevenson Union is offering limited service, with sushi, salads, grab-and-go fare and limited grill items. Einstein’s coffee shop in the student union is at full service; Southern Grounds at the Hannon Library is offering limited beverage options. Avista Corporation, the Ashland area’s natural gas supplier, turned off the gas meters of homes surrounding SOU this afternoon and told customers the outage is expected to last until Wednesday. However, Avista said on its website that it may take two to three days for the outage to be fully resolved. The gas company said 2,300 customers in an area from the Ashland Airport to downtown are affected. The campus community is invited to participate in a “Retention Summit” at 3:30 p.m. Thursday in the Stevenson Union’s Rogue River Room, to examine what’s being done – and what other steps might be taken – to encourage students to remain at SOU through graduation. Participants in Thursday’s summit will hear reports on current student retention efforts, data and benchmarking, and on the university’s new Navigate platform – an application created by the Education Advisory Board (EAB) to improve the student experience. Those at the event will then break into small groups and discuss other potential means of improving retention, such as engaging and supporting students, and addressing their academic needs. SOU President Linda Schott also hosted an “Enrollment Summit” in November to discuss this academic year’s enrollment dip among incoming SOU students and how it might be addressed. The president and SOU’s enrollment and admissions staff have followed up with several steps to ensure that this year’s decline will not be repeated. The university overcame state and national trends toward lower enrollments a year ago with gains in both total headcount and full-time equivalent students. Early projections for the 2019-20 academic year suggest that SOU may rebound with another year of gains, if current application trends continue. Steady enrollment growth helps the university counteract some of the effects of decreased state support. The higher education budget currently being discussed among Oregon legislators would fund the state’s seven public universities well below current service levels and would likely require large tuition increases or significant program cuts. Hammond notes that student populations across the country are progressively growing more racially and linguistically diverse. She will discuss having a real impact on learning by being more responsive to students’ differences. Her talk will touch on igniting intellectual creativity and accelerating learning by incorporating the latest findings from cognitive neuroscience and the principles of culturally responsive teaching that she lays out in her 2014 book. The event will be from 4:30 to 630 p.m. on Wednesday, April 10, in the Rogue River Room of SOU’s Stevenson Union. It is co-sponsored by the SOU Provost’s Office, School of Education and Division of Humanities and Culture; the Ashland, Medford and Central Point school districts; and the Southern Oregon Mentor Consortium. She received her bachelor’s degree in English literature from New York University and a master’s degree in secondary English education with a concentration in writing instruction at the University of Colorado, Boulder. The 11th year of SOU’s Campus Theme features a variety of presentations that explore the concepts of “Ignorance and Wisdom,” and the relationships between the two. The university adopts a theme each year for a series of lectures and discussions. Last year’s was “Truth,” and the previous year was “Shapes of Curiosity.” The series, presented by SOU’s Arts and Humanities Council, creates opportunities for students, faculty, staff and community members to engage in intellectually stimulating conversations. SOU faculty members are asked to encourage their students to attend and participate in the Campus Theme presentations. The SOU community contributed non-perishable food and payroll deductions equivalent to a total of 8,022 meals during this year’s Governor’s Food Drive, which directly benefits the university’s Student Food Pantry and those who rely on it. The university’s payroll deductions are down somewhat this year, but donations to the Student Food Pantry hit a record high with 1,809 pounds of nonperishable food. Collections bins at all buildings on campus accounted for 1,580 pounds of donated food, and a benefit concert sponsored by the Oregon Center for the Arts at SOU drew another 229 pounds. The Governor’s Food Drive draws donations each February from state government and public university employees throughout Oregon, to support the Oregon Food Bank Network. SOU arranged for its food donations to go directly to its Student Food Pantry, which provides SOU students who are in need with as many as 10 items of nonperishable food or hygiene supplies each week. Prizes were awarded this year for those who participated in either the payroll deductions or food donations portion of the drive. Associate Registrar Katrina Simpson won a drawing for all of those who signed up for payroll deductions, and will receive two tickets to the Chamber Music Concerts, an affiliate organization of the SOU Foundation. Employees of Churchill Hall – which collected almost 215 pounds of food in its collection barrels, the most of any building on campus – will be treated to coffee and snacks by SOU Dining and A’viands. Central Hall finished in a close second place, with 202 pounds of food collected.